This innovative book demonstrates how the study of sumo wrestling techniques can benefit practitioners of modern mixed martial arts (MMA), as well as other grappling arts. Sumo, Japan's ancient martial art, has its own particular variations of MMA-style body locks, throws, and trips, among other techniques. MMA competitors know their sport grew with the evolution of jujitsu, but many do not realize sumo can be seen as the root of jujitsu. Sumo uses distraction, angles, and leverage to steal an opponent's balance and take him down. Sumo for Mixed Martial Arts focuses on kimarite, or winning moves. Knowledge of these techniques can allow competitors to catch their opponents off guard with unorthodox clinches, takedowns, and tactics. The author places special emphasis on how smaller players can defeat larger adversaries. The author provides analysis of the three basic types of fighters in MMA and how sumo techniques and tactics can enhance their skills. He examines the fighting style of former UFC light heavyweight champion Lyoto Machida, who made highly effective use of sumo wrestling in MMA competition. 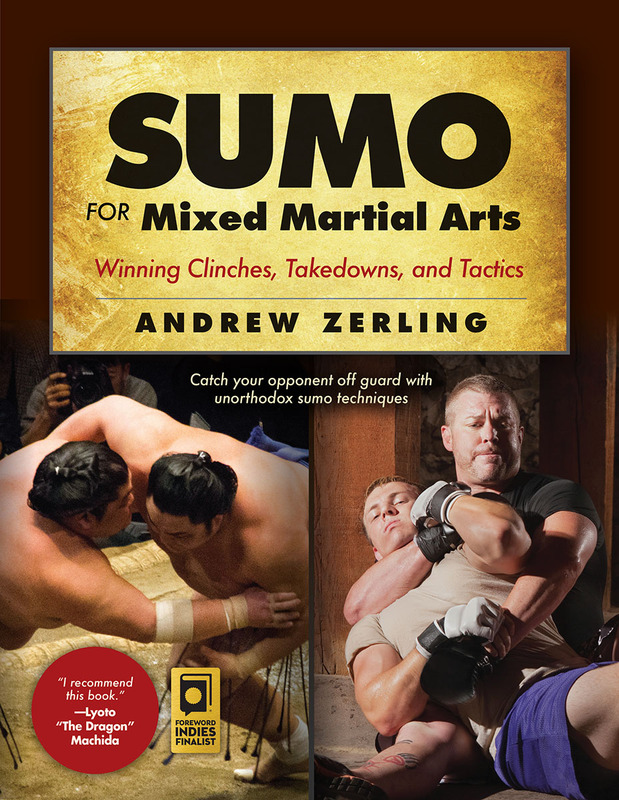 In Sumo for Mixed Martial Arts Andrew Zerling casts an ancient martial art in new light. He combines his decades of training with a passion for research. MMA competitors, grapplers, wrestlers, and fans of sumo will appreciate the author's analysis and attention to detail. They will also come away with a wealth of new techniques.